For many travellers the neighbourhood of Thamel is Kathmandu. This cacophonous tourist ghetto is a patchwork of hotels and guesthouses, restaurants (serving everything from Tibetan street food to Turkish kebabs), bars, cyber cafes, and trekking, rafting and mountain-biking agencies. Shops sell fake North Face gear, pashminas, Buddhist singing bowls, pirated DVDs and second-hand books. Whispering touts creep by offering wooden flutes, tiger balm or marijuana, struggling to make themselves heard over the din of motorbike engines and rickshaw horns. Some travellers visiting the Nepali capital nowadays barely leave Thamel, but it wasn’t always a tourist hub. In the 1960s and early 70s, with the hippie overland trail at its height, and Nepal a key stop-off on it, travellers congregated in Jhochhe, a 20-minute walk south of Thamel. 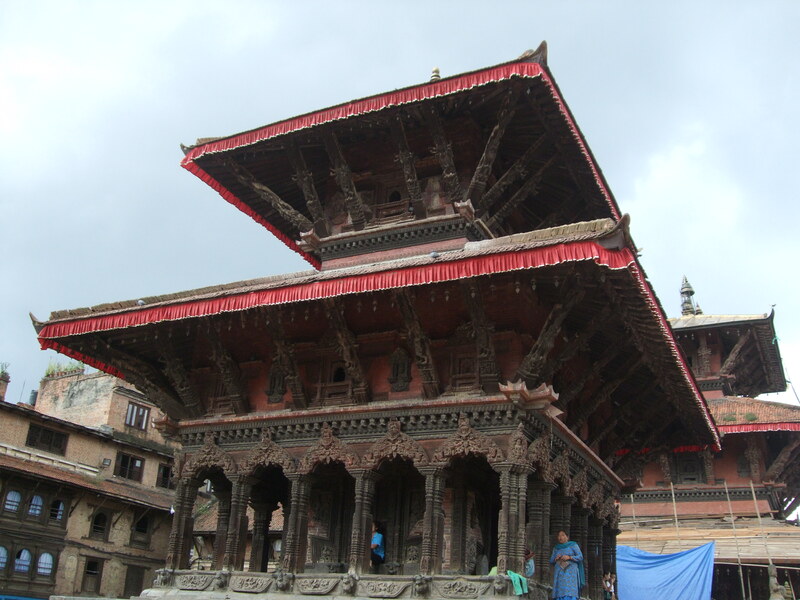 Just off Durbar Square – site of the former royal palace, temples, monasteries, and Kumari Chowk, home of Nepal’s “living goddess” – Jhochhe became the hippie centre of Nepal to such an extent that it soon became known as Freak Street. Amongst the multinational cast of travellers who visited the area in search of the “mystic east” were the Beatles and Cat Stevens – the latter even wrote the song Katmandu (which he spelt without the “h”) in tribute. A series of “pie and chai shops” selling sweet Nepali tea and cakes sprung up. Hashish was legal then and ubiquitous. Rock and roll rang out. Today there are only distant echoes of those heady days. Freak Street still has a handful of low-cost, atmospheric lodges, a scattering of evocative signs (such as “Mr Kools Munchies and Drinks Store”), and – most notably – the legendary Snowman cafe. The Snowman, which has been operating continuously since 1965, is the only surviving “pie and chai” shop. A low-lit joint with just a handful of tables, it has the kind of cool that never goes out of fashion. Unusually for Kathmandu, the Snowman attracts both locals and foreign visitors, who come to soak up the atmosphere, admire the psychedelic paintings, sip a cup of tea and – of course – sample a slice of apple pie or chocolate cake. The hazy atmosphere is now due to cigarettes rather than hashish, but little else has changed and it feels – if only briefly – as if the 1960s had never ended.